Here’s a real life web scenario: You face the task of designing a graphic user interface and making it work on every platform. To do that, you will need a deeper knowledge of web design, branding, logotypes and many other things. These are the basic, must-read web design books essential for people starting a web related business, or designers who just want to meet the demands of present-day clients. You will learn how to compose color patterns, choose the appropriate fonts and how to create web pages based on a grid. You’ll be able to create your first landing page in weeks. I really enjoyed the first edition too. This book is a milestone in design. You may be wondering why it made the list, as it treats only typography. Detail in typography will teach you about matters concerning leading, how important the distance between the signs is, and why you should not use all caps in longer texts. A book devoted mainly to beginner front-end developers. You will learn the correct HTML syntax, possibilities provided by CSS, what mistakes to avoid. Creating a website on a server will no longer be a problem for you. It’s not hard see why this book is #1 in several book categories on Amazon. Jenifer Tidwell’s book is a wonderful source of GUI patterns, with detailed descriptions and analyses. The author has analysed every possible component, describing situations in which it should be used. The book contains expertise of utmost importance and it is definitely a must-read for every web designer. David Airey is a world-class designer specializing in corporate identity design and the author of one of the most popular blogs devoted to word marks. Logo Design Love contains an account of his experiences with different clients. It will tell you what a logo means to a company and how to price a design. You will also learn the process of designing a mark, with some interesting analysis of the world’s most popular logos. 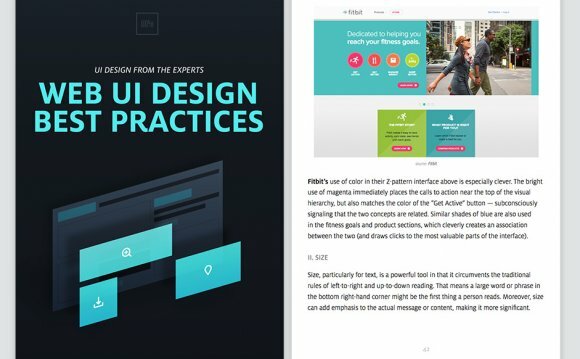 What are your favorite web design books? Please consider sharing them in the comments below. I will include the ones I like the most on this list.